Purple leaf sand cherry (Prunus x cistena) is a hardy shrub that belongs to the rose family. This striking plant, also known as plum leaf sand cherry, is valued for its reddish-purple foliage and pale pink blooms. 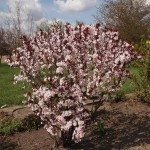 Purple leaf sand cherry care involves regular pruning. Read on for tips on how to prune a purple leaf sand cherry. The best time to prune plum leaf sand cherries is just before new growth emerges in spring. This timing ensures the plant has plenty of time to recover and produce gorgeous blooms for the coming season. Purple leaf sand cherry pruning isn’t complicated. Prune the oldest stems first, removing at least one-third of growth down to within a few inches from the base. Additionally, cut damaged or dead growth at the base of the shrub. The branches will be sturdy, so be sure your cutting tool is sharp. When old and damaged growth has been removed, thin out wayward growth and branches that are rubbing or crossing other branches. If the plant looks a bit straggly, you can remove twigs to keep it tidy throughout the season. Be sure to make each cut about 1/4-inch above a node or a point where one stem is growing from another. Lastly, snip off any suckers that form at the base of the plant. 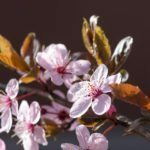 If the purple leaf sand cherry is badly overgrown or neglected, you can rejuvenate the plant by cutting it nearly to the ground in late winter, shortly before the plant emerges from dormancy. Rake the area under the shrub after pruning. 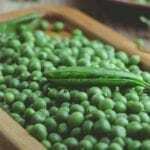 If you are pruning to remove diseased growth, dispose of the clippings carefully. Never place diseased debris in the compost pile. Water purple leaf sand cherry regularly during the first growing season. Usually, one watering per week is ample, or whenever the top 1 to 2 inches of soil feels dry to the touch. Thereafter, water only during extended periods of hot, dry weather. One feeding every spring is sufficient for purple leaf sand cherry. Any balanced, general-purpose fertilizer is fine. A sunny location, well-drained soil and adequate air circulation around plants are the best ways to avoid these moisture-related diseases. 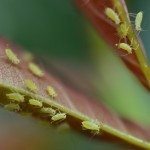 Most insects can be controlled by blasting the affected leaves with a strong blast of water, or by spraying the foliage with insecticidal soap. Unfortunately, despite your best attempts, pests and disease may shorten the life span of purple leaf sand cherry.